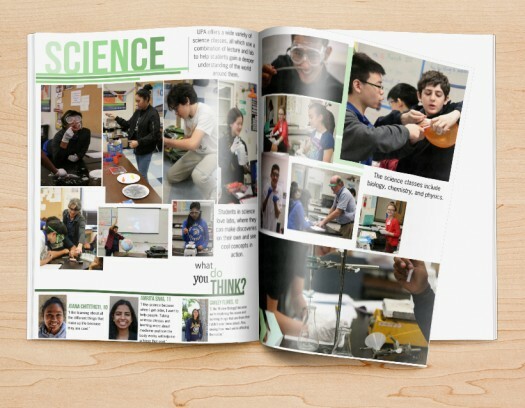 When you work on creating great content and a fabulous yearbook design, it’s easy to put your focus on some of the really technical aspects of your layout. From what features will go where to using negative space in a positive way, there are a lot of visual elements you have to consider. Sometimes, you can get so wrapped up in the minute details that it becomes hard to look at your publication from a wider vantage point. For your book reach its full potential, it can be helpful to gather inspiration from outside sources–like the magazines you love to read! Not only can these publications spur some fresh content ideas, but they’re a great way to stay on top of trends in the world of print. To help you understand what to look for–and how to apply new concepts to the pages of your own yearbook–I’ve pulled together three of my favorite ways to nab hip inspiration for your features below. From the fashion magazines that keep you in touch with what’s hot to the home decor publications that help you spice up your abode, the color choices you read about and see are always on-trend and super complimentary. Keep this in mind as you’re creating the style guide for your own publication. 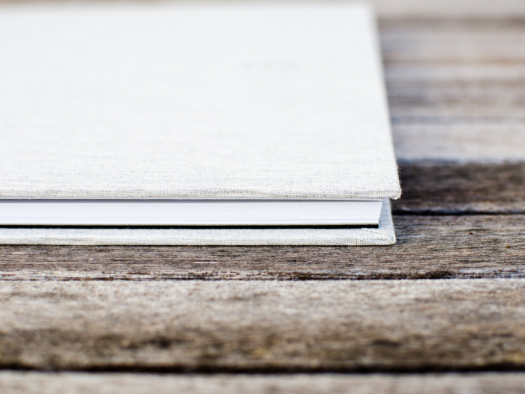 Spend some time researching the latest print color trends to carefully choose the best hues for the pages of your book. Look for a few standout colors that compliment your theme. For example, bold reds and blues would work well with a Cat in the Hat theme, while a musical focus would look great with modern greens and oranges. Also, integrating a few neutrals into your color palette can give you more to work with, and they’ll help your vivid choices stand out a little more. We love the mixture of eye-catching color paired with bold neutrals. A yellow, gray and white color palette is beautiful in print, and trendy! Numbered lists are something that the internet generation devours. 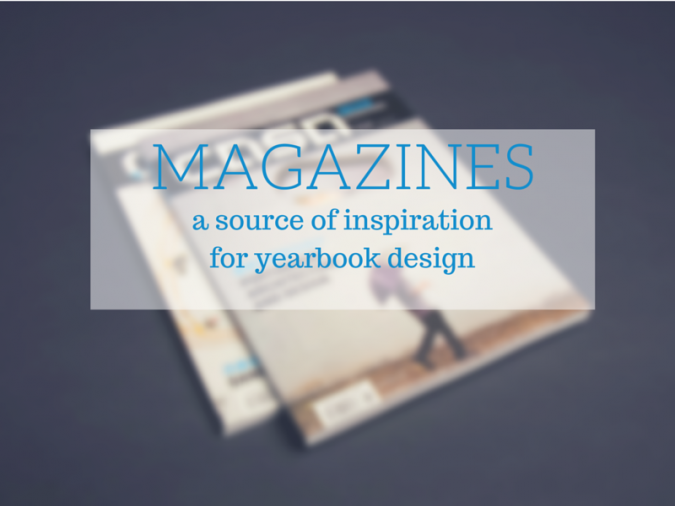 Don’t be afraid to use them as part of your yearbook design, and call them out in your headlines. Use action words like reveal, stash, unveil, expand, and participate. Adding movement to your headline will translate to more reader interest. Get creative with adjectives. Using the same words that students read on a regular basis can get boring. Substitute those choices with choices like sparkle, fabulous, and epic. Brainstorm with your team to come get those creative adjective juices flowing! Lists are a great way to grab the reader’s attention, because they’re actionable. And the integration of uncommon verbs – like stash – spikes the reader’s interest. Insta-worthy: A short feature on the top 20 students (or teachers) to follow on Instagram, and why what they offer is so unique. DIY Locker: A fun section of content dedicated to students who have awesome lockers, and the DIY steps that you can take to create something unique next year. School News: Five trending topics that took the school by storm this year–everything from news stories to backpack styles, to who was voted teacher of the year. 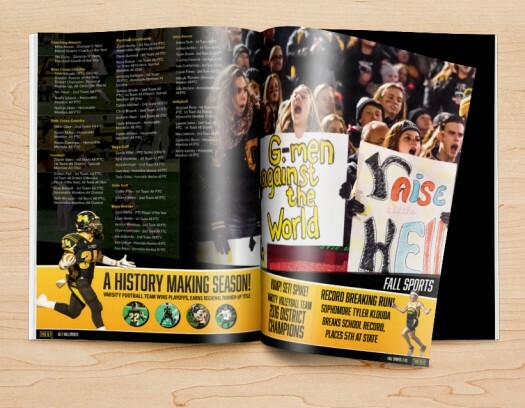 The school yearbook is an age-old concept that students look forward to every spring. But just because the idea has been around for a long time doesn’t mean you can’t inject some modern trends into the look and content of your publication! Use popular magazines (the ones you glance at while waiting in the checkout lane at the grocery store) to stay abreast of unique trends that can apply to the pages of your own book. Not only will this give your yearbook ideas an edge over those from previous years, but it’s a great way to instigate more engagement with the students. And that will translate to more success as you build your program!